Oh season of Dust, how i did not miss you! The weekend saw dust engulf the place, again. How is it a mere coincidence that weekends are dusty while weekdays are clear and sunny? 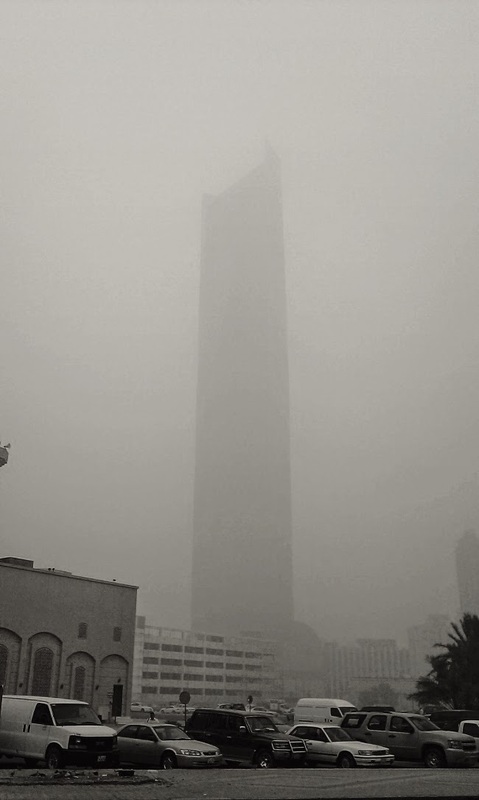 Looking on at the might Hamra Tower through all the dust, reminded me of those giant mecha movies. Massive japanese robots come into the frame through the fog, their details getting more and more evident as they come closer. Quite an imposing figure in the dust. Lets thank our stars that we are yet to come across those beings that are this big, ready to take over the planet. It would be an unfair fight, and we don't stand a chance.